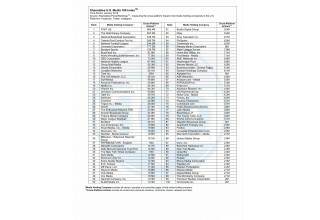 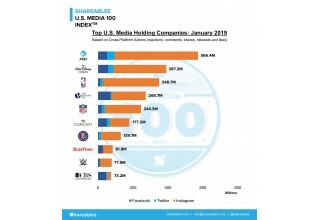 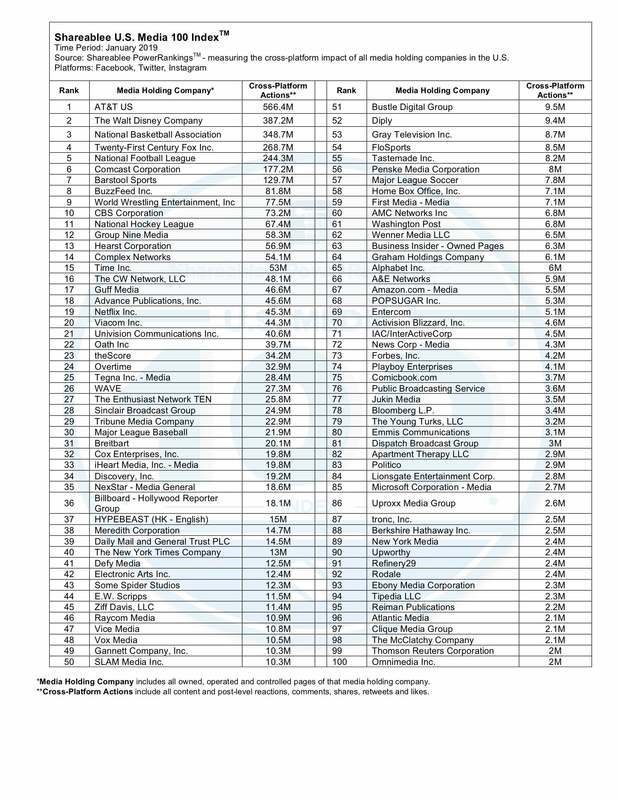 NEW YORK, February 7, 2019	(Newswire.com) - Shareablee Inc., the global leader in audience-based social media measurement, today announced that AT&T led the January 2019 U.S. Media 100 Index ranking of the most socially engaged media companies. 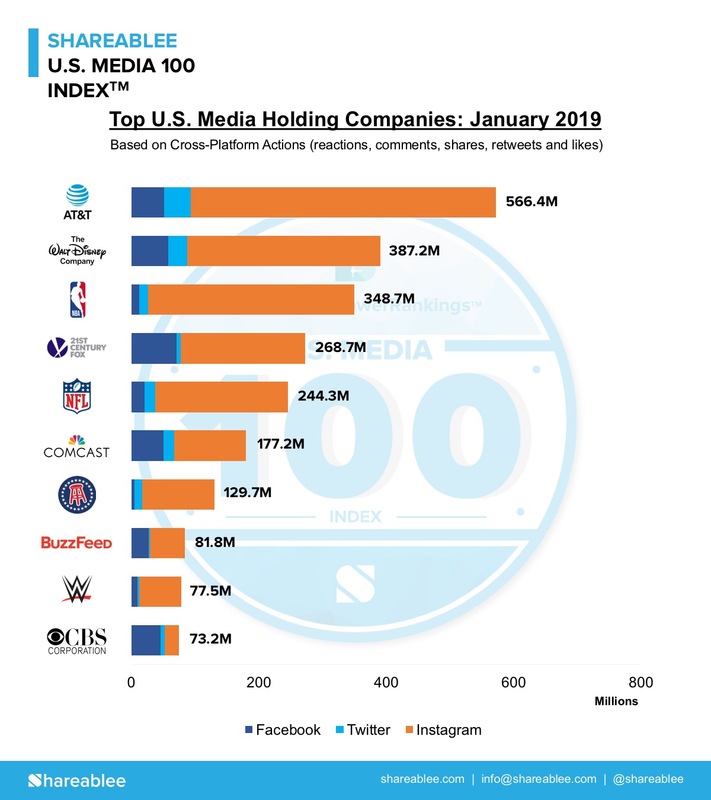 The Shareablee U.S. Media Index increased 11.2 percent overall and generated 3.8 billion cross-platform actions (post-level reactions, comments, shares, retweets and likes) for Facebook, Instagram and Twitter last month. 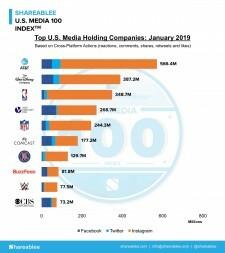 AT&T, driven by Warner Media, topped the ranking this January with 566.4 million cross-platform actions, followed by The Walt Disney Company (387.2 million actions), the NBA (348.7 million actions), 21st Century Fox (268.7 million actions) and the NFL (244.3 million actions).